Japanese Anemones have large, mid-green leaves that form a clump at ground level. 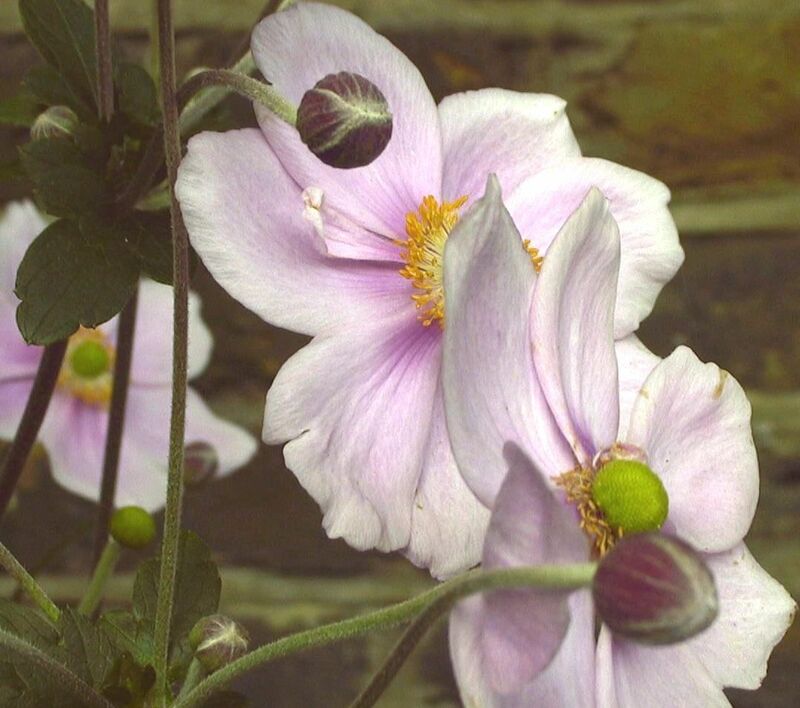 As summer fades, buds atop long graceful stems open into SOFT PINK OR WHITE flowers that float in the breeze. They grow well in sun and part shade, in fertile soil that is well drained but not waterlogged. 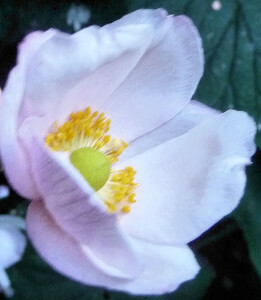 But choose carefully where to plant these elegant flowers; once established, moving them may not be an option. They are slow to settle in but difficult to eradicate. Here in Highbury they appear in a number of front gardens in late summer and early autumn. At our Capel Manor College class, we were taken to see windflowers in the gardens near the which? trial beds. 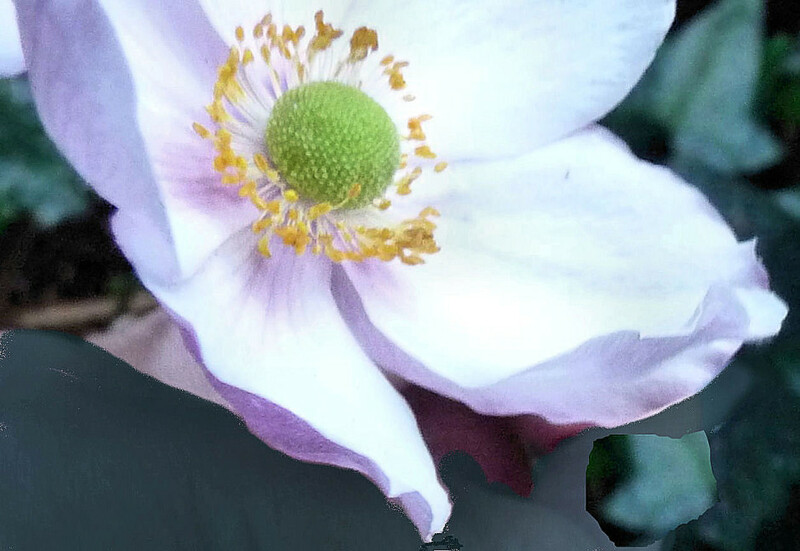 They moved on an undulating screen of tall stems, showing how the flowers got their name. 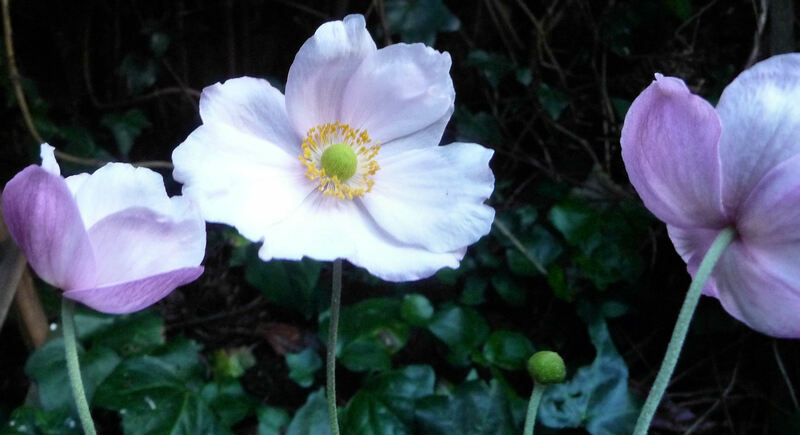 Anne’s front garden in Wimbledon was filled with Windflowers. I helped her dig them out and brought two of them back to Highbury. 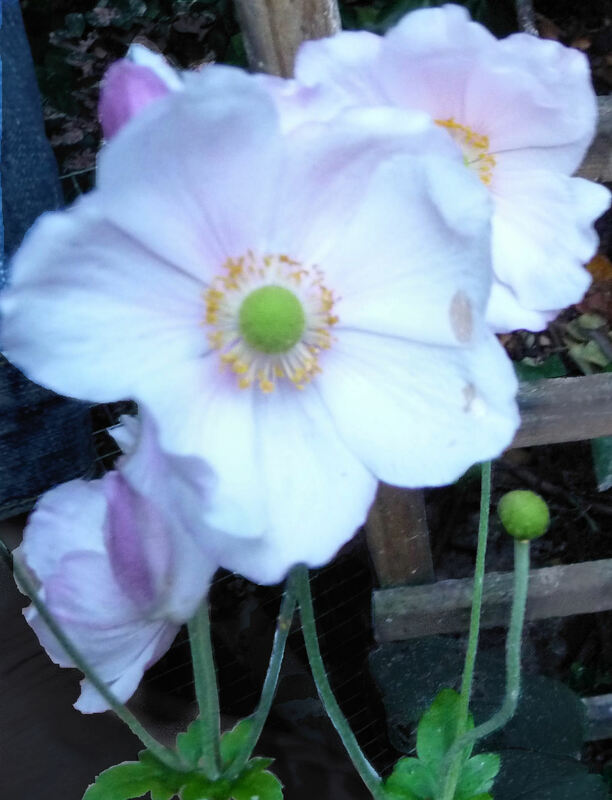 We thought we had pulled up every one, but it seems that the tiniest morsel of root left behind will send up new stems, new flowers. 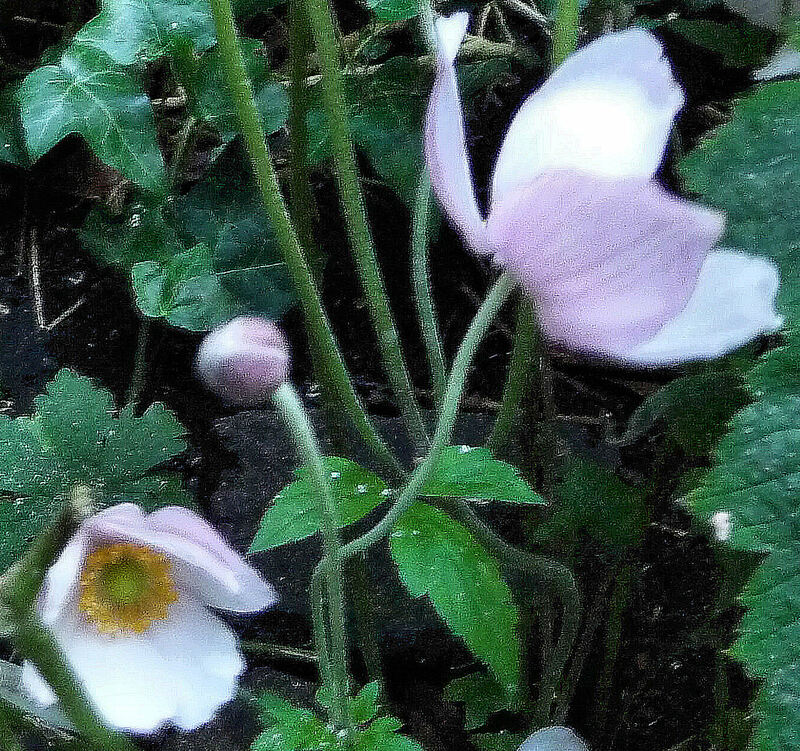 Fragments of the plant left in the ground in Wimbledon grew new Windflowers. Japanese anemones still grow in Anne’s front garden; it is as though they had never left. 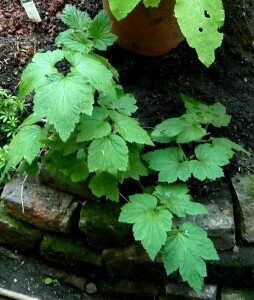 A brick pit or large pot may restrict their roots for some time. But, in an open garden, expect them to spread. 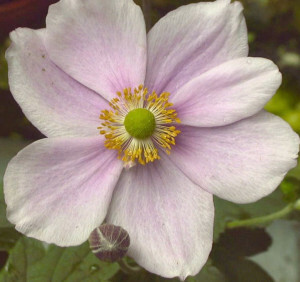 Other names: Chinese Anemone, Thimbleweed.